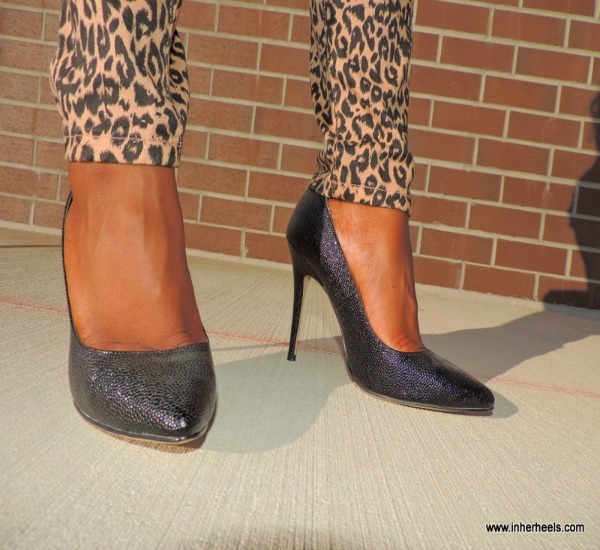 Make no mistake; leopard print is not limited to shoes, clutches, belts, skirts and scarves! Everyone with a fashion state of mind knows that leopard is the new black or neutral. You do know that don't you? So why not rock out a pair of leopard print denim pants? I purchased this pair in particular about two years ago from justfab.com and to be honest I was very much so intimidated by them. Don't get me wrong I loved them but I at that time in particular was more concerned about what others would think. I know, how lame is that? So as you can imagine (once I realized how foolish I was for absorbing that type of energy) this pair of denim in particular has gotten much rotation in my closet. As my favorite time of the year approaches I am already gearing up for transitional wear from summer to fall. As far as leopard is concerned (you know since it is neutral) I prefer to pair it with bold colors such as pink for a fabulous summer look. For the fall season I prefer leopard print with black, winter white or a burnt orange.